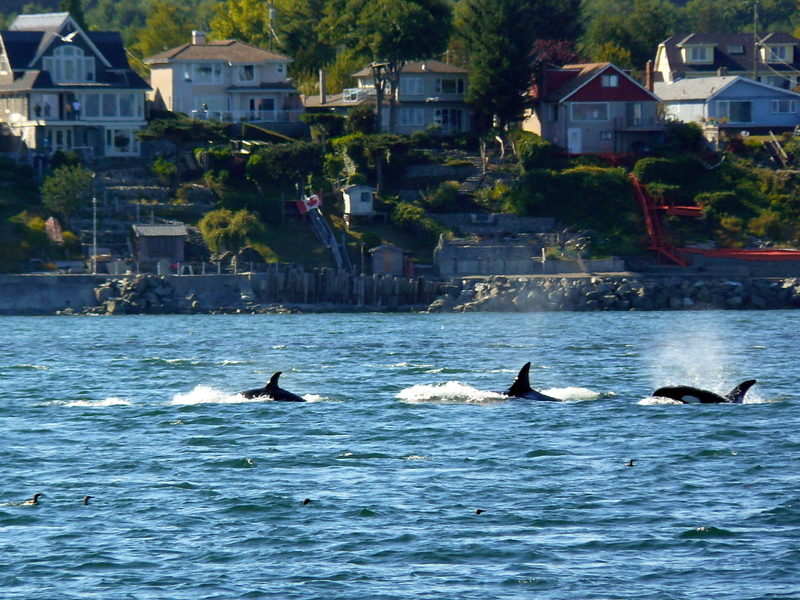 This sunny summer day took us to Vancouver Island, Canada to see 3 families of mammal eating killer whales heading south along the shoreline by D’Arcy Island, against a strong 7’ flooding-incoming tide. From about 3:50 to 4:25pm, we identified T036, 41 years old with her 13 year old T036B, her 21 year old daughter T036A, and 6 year old grandwhale T036A1! 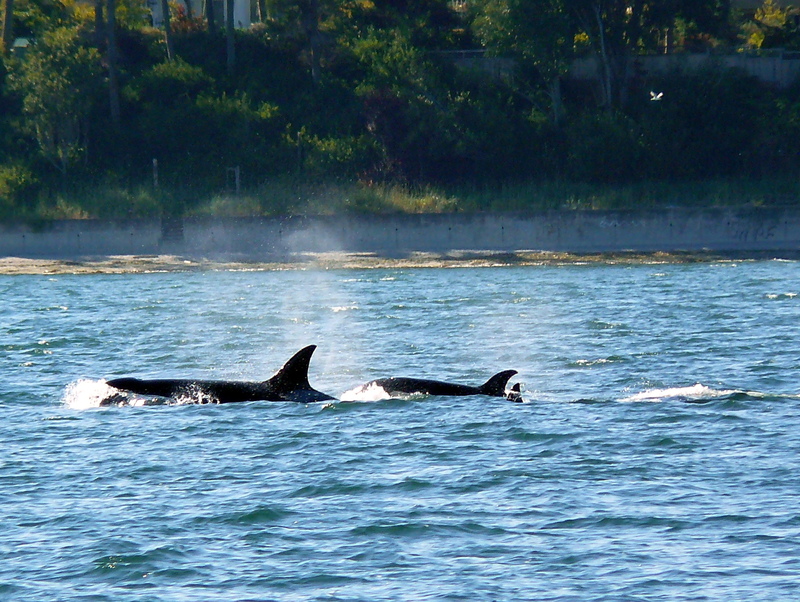 Also with them, T099, 27 years old with her 8 year old T099A and 4 year old T099B. At first they were traveling, so exciting to see these females and youngsters go into hunting mode. I saw a glimpse of a very small dorsal fin ahead, thinking at first it was the 4 year old. Then the whales quickly charged, changed directions, made exploding splashes, tail flukes in the air, ‘porpoise’- fast swimming and arching out of the water, tail-lobbing; fluke slapping the water (and prey? ), I think it was a Harbor Porpoise they made a meal out of! I also noticed quite a few marine birds and gulls in the area, perhaps waiting for leftovers!